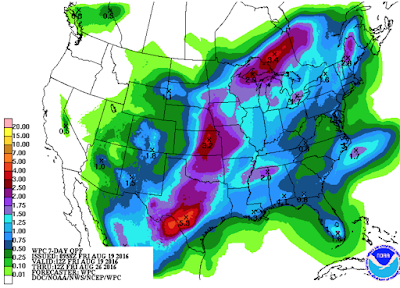 Every state except Washington and Oregon will have significant precipitation during the next seven days with some heavy rains from Texas to Nebraska. Another area of heavy rain will be northern Wisconsin. Three Tropical Systems Threatening the U.S.A.
Storm Total Rainfall: 20+ Inches! What Would We Do Without Climate 'Scientists'? I Thought the (Dental) Science Was Settled? !